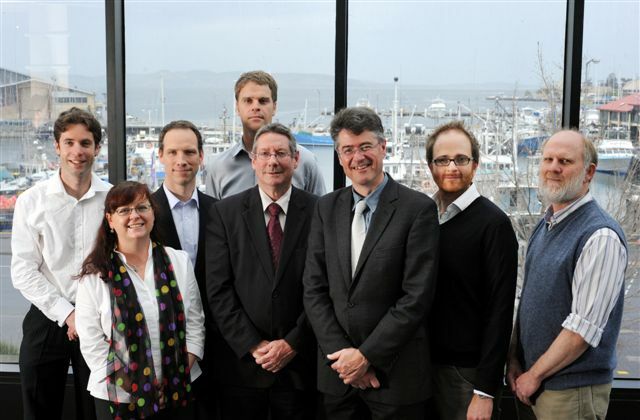 A team of researchers from the Antarctic Climate and Ecosystems CRC in Hobart has won a national award for work that projects the local impacts of climate change throughout Tasmania over the remainder of this century. 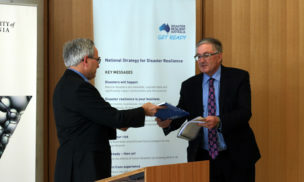 The team from the Climate Futures for Tasmania project received a 2012 Resilient Australia Award from Australian Emergency Management, which is part of the Federal Attorney General’s department. The award recognises innovative practices and achievements that are making communities safer, stronger, more resilient and better prepared to manage any emergency situation. 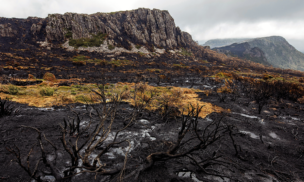 The Climate Futures for Tasmania project took global climate change modelling and scaled it down to a 10-square kilometre grid across Tasmania. Modelling then projected the impacts that increasing greenhouse gases could have on agriculture, the general climate, frequency of extreme events, water and catchments and inundation from the sea. 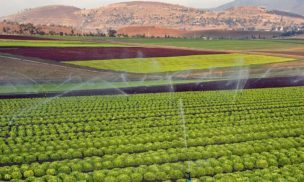 The project leader of Climate Futures for Tasmania, Professor Nathan Bindoff of the ACE CRC, said information from the project would assist planning in areas such as emergency management, local government planning, infrastructure planning and food production. “This project was certainly a leader in Australia and was one of the first of its kind internationally because its projections were so localised. We now have dozens of spin-off projects that are using either the data we produced for Tasmania or this methodology in other geographical areas,” he said. Data from the project is now being made available to many sectors of the community including state and local government, emergency services, water authorities, power companies, farmers, graziers, fruit growers, vignerons and researchers. 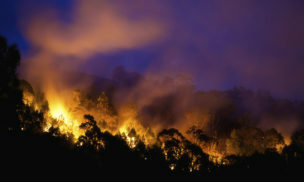 The Climate Futures for Tasmania project was funded primarily by the State Government, the Australian Government’s Commonwealth Environment Research Facilities Program, the Natural Disaster Mitigation Program and Hydro Tasmania. Scientific leadership and contributions were made from a consortium of organisations including the ACE CRC, Tasmanian Department of Primary Industries, Parks, Water and Environment, Tasmanian State Emergency Service, Entura, Geoscience Australia, Bureau of Meteorology, CSIRO, Tasmanian Partnership for Advanced Computing, Tasmanian Institute of Agriculture and the University of Tasmania.